College. He then attended Palmer College of Chiropractic and practiced as an associate in Dubuque, IA until 1980. He began his practice in Grinnell, IA, and remained there for 20 years, marrying Loré and raisinga family. He and Loré followed their son to Northwest Arkansas in 1999 thereby avoiding the long, cold winters of Iowa. 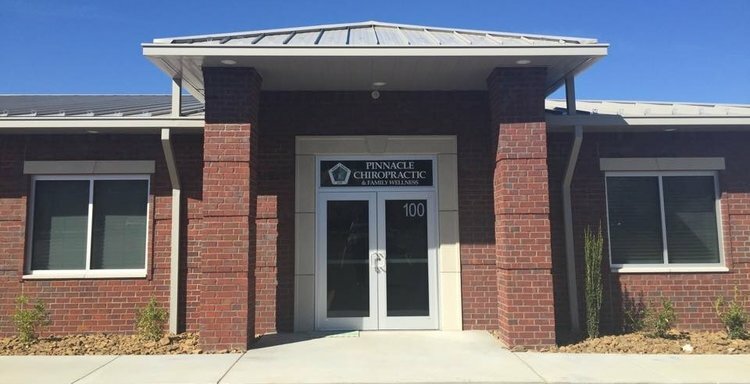 He joined Dr. Teri Hines' practice in Lowell and then bought a Bentonville practice in 2005. 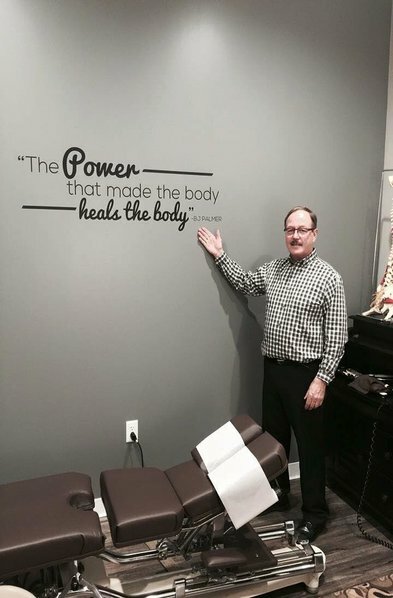 His addition to Pinnacle Chiropractic and Family Wellness began in April, 2013. Since then, Dr. Ron has completed acupuncture courses and is proud to be a Fellow of the International Academy of Clinical Acupuncture. Dr. Ron enjoys spending time with his family, including his two grandchildren and friends, as well as attending Razorback sports.